Luxury vinyl tile, known as LVT, is one of the most high-end flooring options that our store offers. With a timeless elegance combined with an incredible look and feel, it’s easy to see why luxury vinyl tile is also one of our most popular options. We are proud to carry a variety of tile options that work with your specific tastes and budget. From classical sensibilities to contemporary trends, our store has everything you need to give your home its own, distinct personality. From the convenience of modular luxury vinyl floor tile to the refined presence of plank flooring, this material accommodates a broad spectrum of interior design options. Our courteous sales representatives are ready and waiting to help you choose the flooring that matches your home. We carry brands that are well known for their quality, aesthetic appeal, and affordability. In a home full of children and pets, resilient flooring is going to be the go-to choice. Vinyl tile excels at supporting your family’s active lifestyle. Composed of tough vinyl and manufactured with the latest technology and equipment, these robust floors are extremely durable and scratch-resistant. Due to the adaptable composition of vinyl, it withstands everyday wear and tear with ease. This makes luxury vinyl the preferred flooring material for kitchens and bathrooms. Luxury vinyl tile is manufactured in layers, and each component works together to maintain your floor’s integrity while providing comfort for you, your family, and your guests. The impermeable top layer resists water and stains with ease, while also preventing the buildup of unsanitary mold and mildew. The only equipment you need to keep your floor looking new is a damp cloth and an approved cleaner. You deserve to live and walk with ease. Vinyl retains temperature well, providing a nice and familiar sense of warmth that is enjoyable for everyone. Although a firm material, vinyl is also soft enough to make walking a soothing experience. Let your inner interior designer free with luxury vinyl floor tile. We sell vinyl tile in a variety of shapes and sizes, which makes this option the perfect choice for designing unique designs for your home. Vinyl may be printed in a variety of styles and patterns, and it also easily emulates the look of elegant hardwood and stone. Whatever design you have in mind, vinyl accommodates your creativity. Luxury plank flooring comes in many different options, styles, colors, textures, and finishes. When you want to establish a distinguished ambience to your home, give plank flooring a try. Since it closely resembles wooden planks, this flooring option is the go-to choice for creating a stately atmosphere that stays within homeowners’ budgets. When installed correctly, luxury vinyl adds tremendous value to any home and impresses guests for years to come. Hire our professional flooring installation team to ensure the most out of your investment. Our trusted team of installers has the training, experience, and equipment to place your floor in a timely manner. We never skip any details when it comes to luxury vinyl tile installation—and we do not rest until you are completely satisfied with our work. 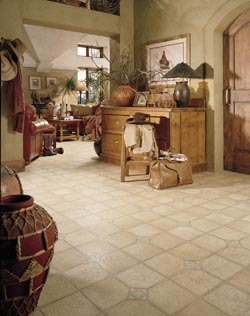 Transform your home with beautiful, luxury vinyl tile. Contact us at (720) 340-5219 to learn how to enhance your interior today. We proudly serve customers in Longmont, Colorado, as well as Niwot, Frederick, Firestone, Louisville, and the surrounding communities.